A Smart car driver is showing other’s how to fit into a tight space – if you’re willing to crash into a few cars in the process! 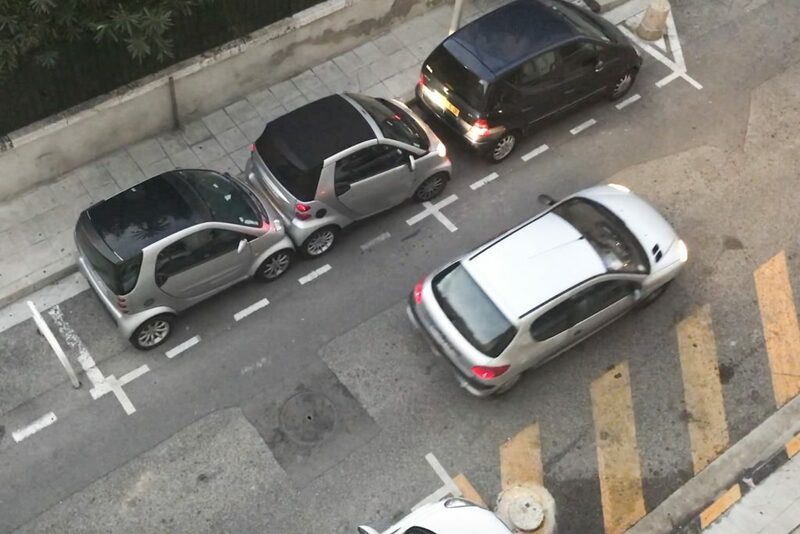 The driver, who was parking on a street in Nice, France, can be seen reversing her car in and out of a tight space trying to park. However, the driver can also be seen backing into the cars that are parked either side of her – showing no signs of stopping when she touches the others. This footage was taken by Keith Kosowski who was on holiday in Nice with his wife and children. Keith, 33, said: “My wife asked me to start the video because of how impossible the situation looked, and we were shocked to see the driver complete it. “I wouldn’t have been happy if I had witnessed someone backing into my car a few times – no matter how slowly!